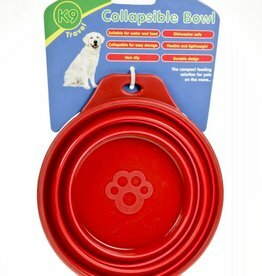 Collapsable, non-spill and travel dog drinking bowls and bottles. 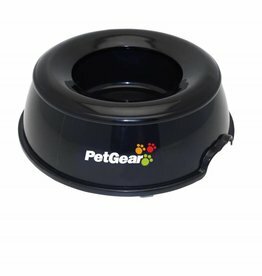 A full size drinking bowl, the special non spill rim, non slip, non tip base make the Pet Gear Non-Spill bowl ideal for travelling. 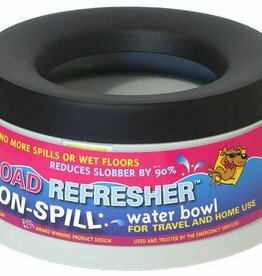 A lightweight and portable bowl designed to prevent your dog's water spilling while travelling. 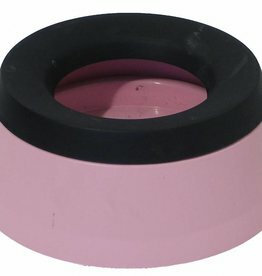 190mm x 78mm high and 92mm drinking hole. 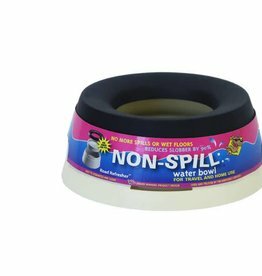 Volume 0.6 Litres. 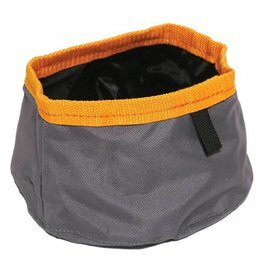 Food and water bowl that folds flat, making it ideal for travelling. 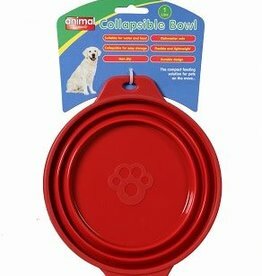 The Animal Instincts collapsible bowl collapses down for ease of storage and transit and being made from rubber ensures it is non slip, durable and easy to wash. 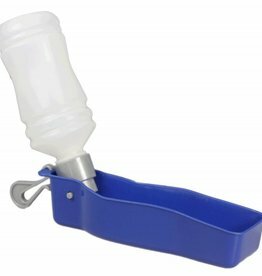 Handy water and food dispenser ideal for use in the car, or for out walking. 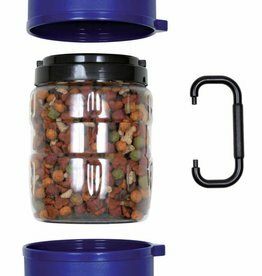 Contains food container with capacity of 2 litres, and 2 bowls of 0.75 litres each. 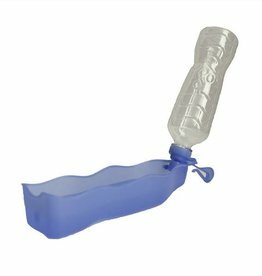 Animal Instincts Travel Water Bottle,the compact solution for pets on the move the Travel Water Bottle includes a plastic bottle with a tray attached. 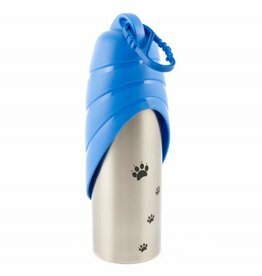 This Stainless Steel bottle is lightweight and durable, and allows you to easily carry food or water for your dog while out walking.